Only 8 In Stock - ORDER NOW. Prior to using Glaucoma Formula by Professional Formulas my eye pressure was 22. After one month of use my eye pressure reading was 16. It was the only change made to my routine, so feel this must be what worked. I have been taking Glaucoma Drops by Professional Formulas for about two months. I have an eye appointment the end of January. My overall vision has noticeably improved and my exam will determine if there is any further evidence of glaucoma. 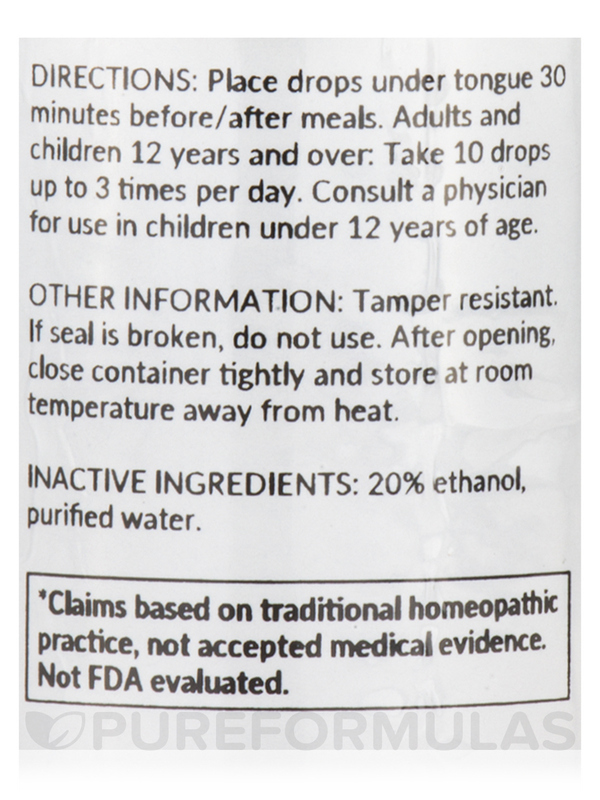 I like it, not sure if Glaucome Formula by Professional Formulas made the Glaucoma better but will keep using. This formula is specifically designed to possibly help with various eye conditions like glaucoma. Using herbal ingredients‚ Glaucoma Formula may potentially help reduce eye pain‚ swelling‚ eye strain‚ and other symptoms of certain eye conditions. Spigelia is added to potentially target pain in the nerves behind the eyes and through the temples. This ingredient is known for possibly targeting specific nerve clusters in the body and helping to reduce pain in those areas. Active Ingredients: Equal parts of coleus forskohlii 2X‚ Vaccinium mytrillus 2X‚ Euphrasia officinalis 3X‚ Gelsemium sempervirens 3X‚ Spigelia anthelmia 3X‚ 6X‚ Hydrastis canadensis 5X‚ Aconitum napellus 6X‚ Belladonna 6X‚ Eye 6X‚ 12X‚ 30X‚ Bryonia 12X‚ Phosphorus 12X. Place drops under tongue 30 minutes before/after meals. Adults and children 12 years and over: Take 10 drops up to 3 times per day. Severe or persistent symptoms may be a sign of a serious condition. Consult a doctor promptly if symptoms are accompanied by severe eye pain with nausea‚ or sudden vision disturbance or loss. After opening‚ close container tightly and store at room temperature away from heat. 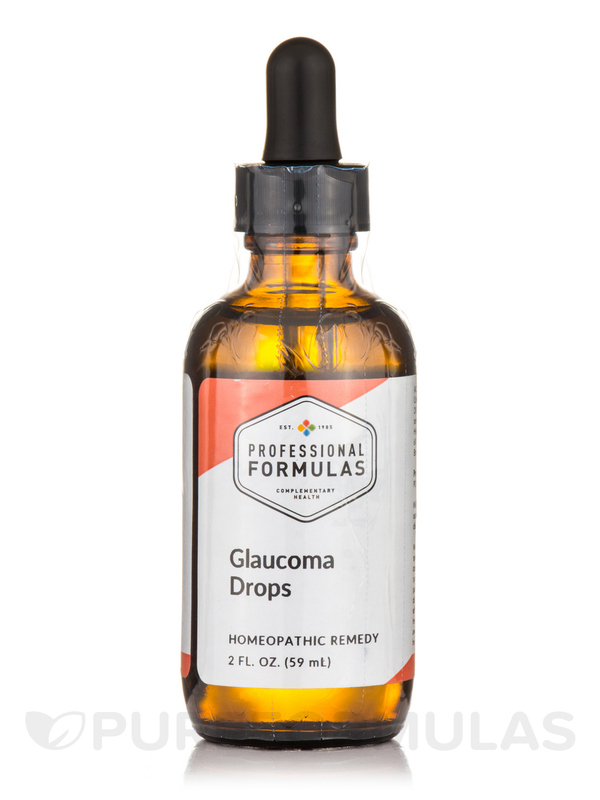 I have used Glaucoma Formula by Professional Formulas for almost a month and my eyesight seems sharper and I do NOT suffer from eye pain anymore. Will continue to use. It's a all natural product. Works very well for my eyesight and pain. Does not taste bad and very simple to use. For some the frequency of use may be a problem. Also if using all the time it could become costly. Reduced Eye Pressure ,Great Product! It works! None prescriptive solution and without side effects. I have narrow angles glaucoma and already had laser surgery and want to prevent anymore surgeries. 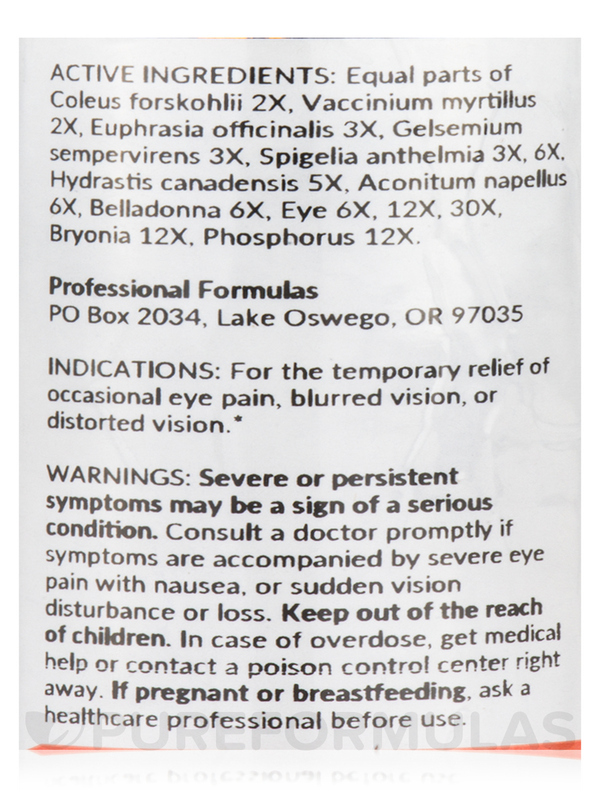 I bought Glaucoma Formula by Professional Formulas to help keep my eye pressure down. So far I used them only one night but need to take them every night as a preventative. I havent noticed anything yet but will keep you posted on them. Easier to take than prescription drops.